Looks like that there is a problem with the line break. I can confirm I'm also affected by this issue. I tried all different kind of spacing in the routes section, I used yamlling on the .lagoon.yml file, but I keep getting this error. can you paste the yaml you tried with in here? 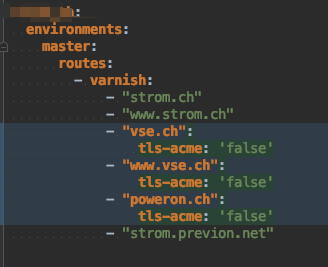 @Schnitzel I send you the yaml over Slack.